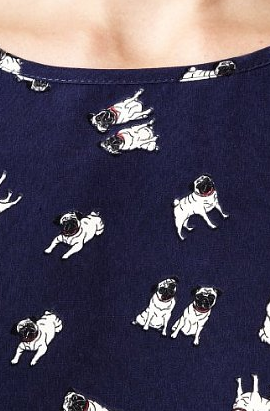 We love pugs, and we love dresses, and finally someone has combined the two. 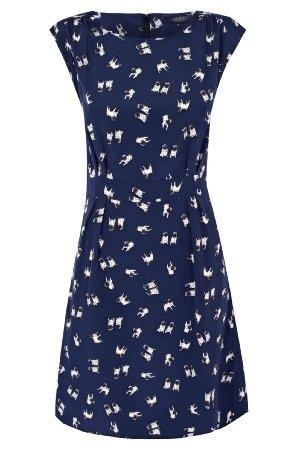 M&S are doing a fine line in quirky but wearable prints, and this is no exception. Pugs will always cheer you up, with their head tilts and waddly walks and ridiculous faces. This print could even brighten up a Monday morning. The nipped-in waistband will flatter you if you just throw it on, or you could dress it up with a wide belt and heels. You can wear it through this endless winter with a cardigan and tights, but it'll look equally ace with bare legs and sandals if summer ever arrives (come ON, Aslan). 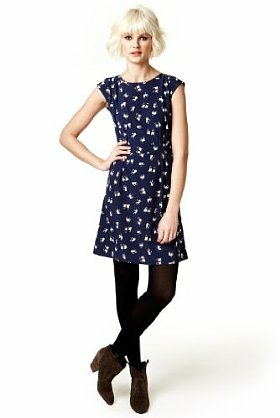 Basically, I agree entirely with the breathless reviewer on the M&S site who says "It is a perfect first date dress, family dinner, walk in the park or a dress down Friday." This lady is wearing her new frock everywhere, and she is right to. It's £39.50 which means the cost-per-wear is approximately 17 pence as you'll be wearing this til it falls apart. Go, go NOW, and get yours - they won't be around forever and there's no chance you're wrestling mine off me. M&S Limited Collection is my secret weapon, and they keep getting better and better. But holy hell, that pug dress really takes the biscuit. And it's not mega-short. AMAZING. SO UPSET. It is only in a size 6 or size 14!!!! AAAaaahhhhhhh!!!!!! Oh no! There was loads of sizes left when the piece went live. You might have more luck instore. Well go! Go buy one! Only size 6 on the website now. *weeps gently* Will raid M&S at lunchtime but don't hold out much hope...maybe there'll be a queue of pug-deprived dress-lovers. All fingers and paws are crossed. So sad that there is only a size 6 left :( I think we need a LOT more pug posts though. If you do I will send you adorable photos of my own little pug! Sara, once again you have curated me a piece of wardrobe joy that I will LOVE FOREVER! I still haven't quite got over the Henry Holland fox jumper of yore. I could only find this in a size too large at Marble Arch yesterday, but picked up the right size in the next M&S down Oxford Street this morning and it fits beautifully and looks totally amazing. Really thrilled.